In other news, James Bond is sipping vodka martinis again, plus other notes in the world of wine, beer and spirits. 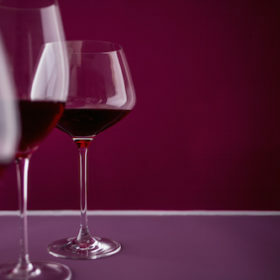 In case you missed it, international color authority Pantone announced that wine-hued Marsala is 2015’s Color of the Year. Described as a “hearty, yet stylish” shade (think an earthy red with brown tint), Marsala follows other vino-themed colors like Champagne and Mimosa. James Bond purists, rejoice: Belvedere vodka is partnering with the next movie in the iconic spy franchise, Spectre. To the chagrin of fans, 2012’s Skyfall had Bond drinking Heineken, but the official Belvedere partnership will correct Mr. Bond’s wayward drink preferences, in time for the November 2015 theatrical release. Particulars for the deal include a limited-release of special M16-branded 1.75ml bottles—100 in all—that will only be available via charity auctions and as gifts to Bond superfans. Belvedere will also produce a metallic, LED-lit 007 Silver Saber bottle, available for purchase in select markets. The question remains: Do you like your martini shaken or stirred? New Year’s Eve is next week, but it’s never too early to start popping some bubbly. As reported by design Web site Unbeige, furniture retailer Design Within Reach is hosting a festive contest for fans of both high-end furniture and sparkling wine. The contest is simple: Using the foil, label, cage and cork from no more than two bottles of bubbly, craft a teeny, envy-inducing chair and submit a picture of your creation to be judged by a panel of design-obsessed fizz fans. The three winning submissions will receive DWR gift cards in February. In anticipation of the Chicago-based Lyric Opera Wine Auction on February 7, 2015, The Women’s Board of Lyric Opera of Chicago announced the release of its annual commemorative wine, SONG. Bottled in Napa Valley at HALL Wines exclusively for Lyric, the 2012 Napa Valley Cabernet Sauvignon is a limited release of 100 magnum-sized, hand-painted and etched bottles. Purchase of the wine will benefit the Lyric Opera’s continued programming. On January 6, 2015, a private reception at Chicago’s Graff Diamonds will allow supporters of Lyric to taste and sample the wine while previewing the magnums available for purchase. Tickets to the 18th annual Taste Washington, the nation’s largest single-region wine and food festival, are now on sale. This four-day event, held March 26–29, 2015, takes place throughout Seattle. One of the marquee events is the signature Grand Tasting, which highlights more than 225 Washington State wineries alongside food from 70 Pacific Northwest restaurants. Other activities include educational seminars and the Red & White Party, an upscale event where participating wineries pour special, large-format selections. For more information on the wineries and chefs, visit Taste Washington’s Web site. On Friday, December 19, Terlato Wines announced its plan to import Epsilon, a new Italian sparkling rosé wine from the Veneto region. Produced by the Cecchetto family near Treviso, Italy, Epsilon is made from Raboso, Pinot Noir and Glera and will retail for $30, beginning in 2015. According to Wine Business, California-based Jackson Family Wines purchased the South African Fijnbosch farm, which includes a 20-acre vineyard. In a joint venture with Graham Beck Wines, JFW plans to release a limited-production Chardonnay from Fijnbosch’s 2013 vintage, dubbed Capensis.